Through all departments and sections are covered in the internship program it is not possible to depth the activities of Foreign Exchange Branch because of time limitation. However, highest effort has been given to achieve the objective the internship program. To exceed customer expectations through innovative financial products & services and establish a strong presence to recognize shareholders expectations and optimize there rewards through dedicated workforce. Long term Goal: Keeping ahead of other competitors in productivity and profitability. Short Term Goal: To attain budgetary targets fixed in each areas of business. AB Bank believes in modernization. The bank took a conscious decision to rejuvenate its past identity – an identity that the bank carried as Arab Bangladesh Bank Limited for twenty five long years. As a result of this decision, the bank chose to rename itself as AB Bank Limited and the Bangladesh Bank put its affirmative stamp on November 14, 2007 vide Bangladesh Bank BPRD circular letter no.-10 dated 22 November 2007. Prior to that shareholders of the bank approved the change of name in the Extra-Ordinary General Meeting held on 4 September 2007. The coat of arms of the new logo is inspired by traditional “shital Pati” or sleeping mat”. The knit and the pattern of interlace in the new logo that echoes the intricate weave of Shital Pati symbolizes bonding. This bonding reflects the new spirit of AB Bank. AB Bank Limited, the first private sector bank under Joint Venture with Dubai Bank Limited, UAE incorporated in Bangladesh incorporated on 31st December 1981, under the Companies Act (Act VII) of 1913 as a limited company having its Head Office in Dhaka. The Bank started functioning from 12th April 1982 with the approval of Bangladesh Bank under the guidelines, rules and regulations given for scheduled commercial banks operating in Bangladesh. It was initially a Joint Venture Commercial Bank between Bangladeshi sponsors and Dubai Bank Limited, Dubai (U.A.E). 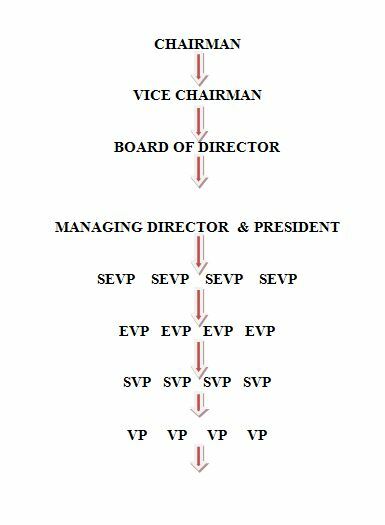 Board of directors consists of Chairman, Vice Chairman, Directors and President & Managing Director and Company Secretary. AB Bank reached 28 years of its journey, which started with a single Branch operation at Karwan Bazar, Dhaka way back in 1982. 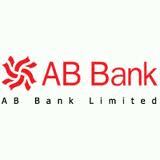 AB Bank being the pioneer in private sector banking in Bangladesh will be the first to achieve this milestone. Over the years, AB Bank has contributed in many ways towards development of the private sector banking in the country. AB thrived on customer service and relationship banking, which brought new dimensions to this particular service sector and many more new entrants to banking sector, followed AB. 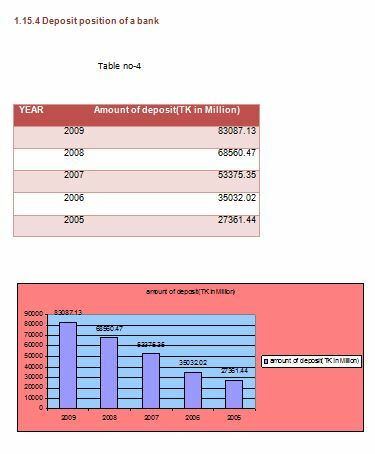 Table 2.1: Corporate event of A B Bank Ltd.
AB Bank Ltd. Karwan Bazar Branch is one of the largest branches of ABBL is located in BSEC Bhaban,Karwan Bazar C/A. It started its function in the year 1986. Presently there are 56 employees in this branch as of 31st March,2011 which includes One VP, two SAVP, Six AVPs, 4 Senior Principal Officers, 5 Principal Officers, 5 Senior Officers, 18 Officers, three Management Trainee Officer, One assistant and others are messengers, tellers, typist and security guards. * Study of files, circulars and practical work. 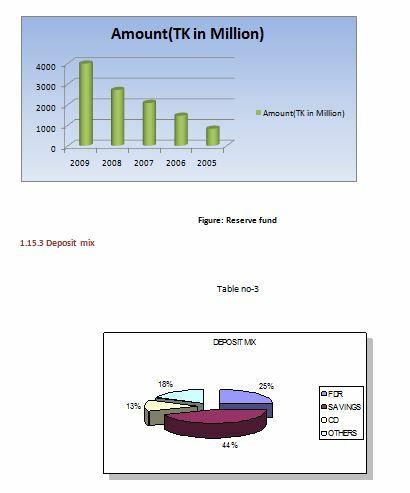 * Annual Report of 2009 etc. 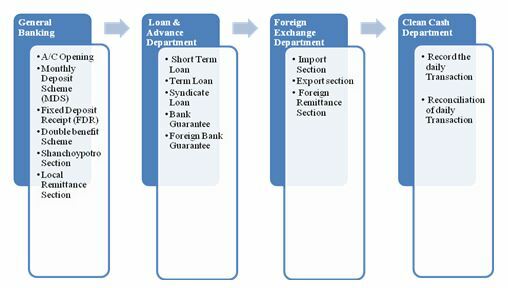 * Different publications regarding banking functions, foreign exchange operation, and export-import policies. = Difficulties to communication and collect data. = Difficulties to gather data in a specific way. = In many cases, up to date information is not published. = Time constraints are one of the major problems/limitations to know the information. # Banned list: Banned goods are not allowed to import through the foreign exchange transaction. Such as Live Swine, Eggs of shrimps and prawns etc. # Restricted list: Any item, which is restricted by the “Import Policy Order 1997-2002” in Annexure –1(b) shall be importable only on fulfilment of the conditions (b) specified therein against the item. # In addition to the conditions mentioned in the Restricted and Banned Lists the conditions restrictions and procedures for import of various items mentioned in the test portion of this Order, shall as usual apply in case of import of those items. LCAF duly filled in & signed. Membership certificate form chamber of commerce / Trade Association. Tax payment certificate / declaration. IRC, Pass book, Trade license Membership certificate & VAT, registration certificate in case of new client. Export L/C in case of back-to-back L/C. # Requesting the concerned bank (importer’s bank) to open an L/C on behalf of the importer favouring the exporter/seller/beneficiary. 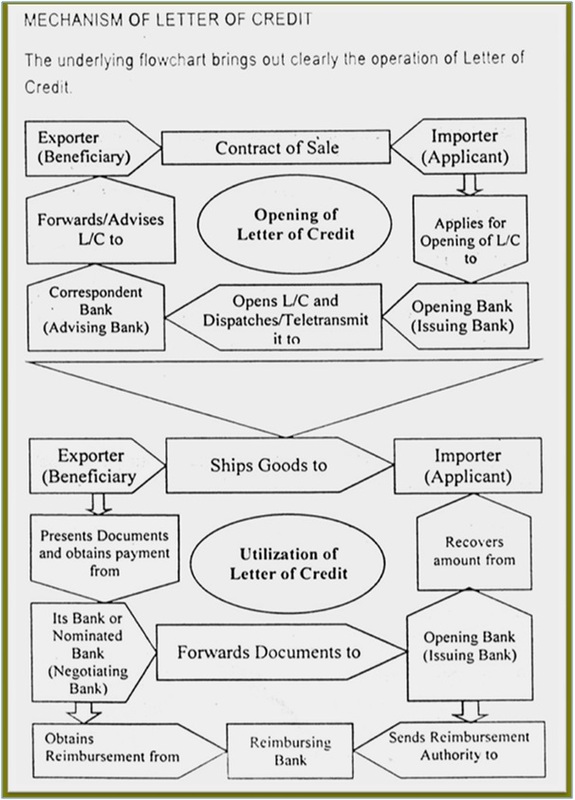 # The issuing bank opens/issues the L/C in accordance with the instructions/request of the importer & request another bank(advising bank) located in sellers /exporter’s country to advice the L/C to the beneficiary. The issuing may also request the advising bank to confirm the credit, if necessary. # The advising bank advises the seller that the L/C has been issued. # As soon as the exporter /seller receives the L/C & is satisfied that he can meet L/C terms & conditions, he is in a position to make shipment of the goods. # After making shipment of the goods in favour of the importer the exporter’s submit the documents to the negotiating bank for negotiation. I) SIGHT PAYMENT CREDIT: In a Sight Payment Credit, the bank pays the stipulated sum immediately against the exporter’s presentation of the documents. NEGOTIATION CREDIT: In Negotiation credit, the exporter has to present a bill of exchange, payable to him in addition to other documents, that the bank negotiates. a. Export documents comply with the credit terms. c. Party’s past performance is satisfactory. d. Any other security in case of export under contract. c) T.T (Telegraphic transfer or cable transfer). f) I.M.O (International Money Order). 2. Local products are also entitled to a Business Travel quota as above. 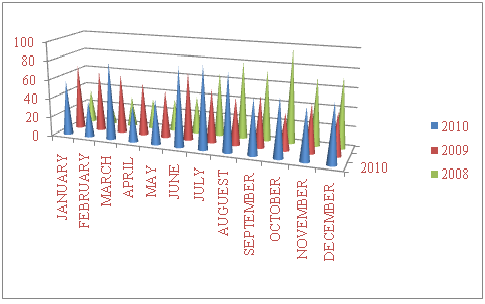 From this graph, it has beeb shown that in 2009 it was the better compare the left two years. 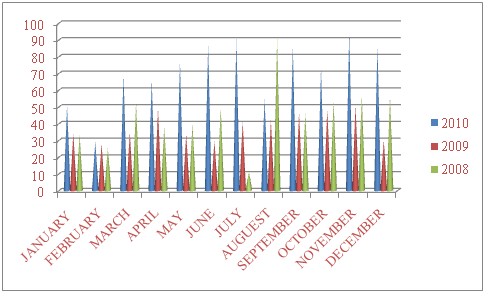 As a per month there is a variation from month by month. # Business in conventional banking system foreign currency is considered as goods not as currency and its value fluctuates continuously, which is too much difficult to understand. # Banks deal with documents not with goods. So, today’s banking system is based on documents. # Because all other sections of ABBL, Foreign exchange section is based on most part of computerized data and due to this reason it has to face some problems. 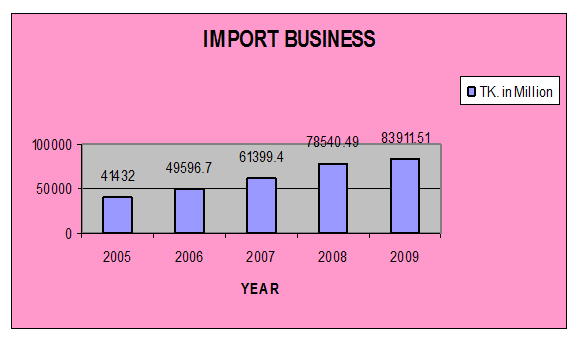 # Import has always been greater than export for every year. 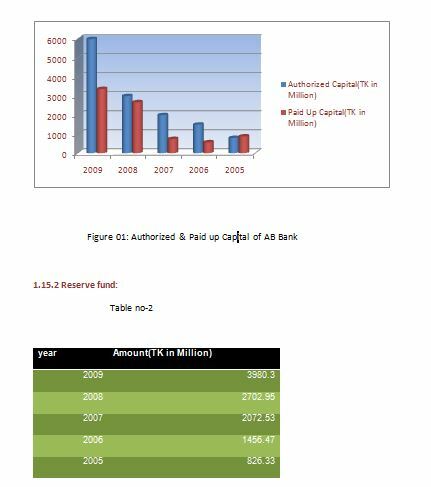 The increase in import from 2005 to 2009 for each bank has been approximately BDT 30000 million for every concerned bank. Whereas the rise in export has been approximately BDT 25000 million. This shows our dependency on foreign goods hence foreign trade. This is also the cause of negative balance of trade of Bangladesh. # Rising demand for foreign currency creates rising trend in their price or value hence making our local currency weaker than before. 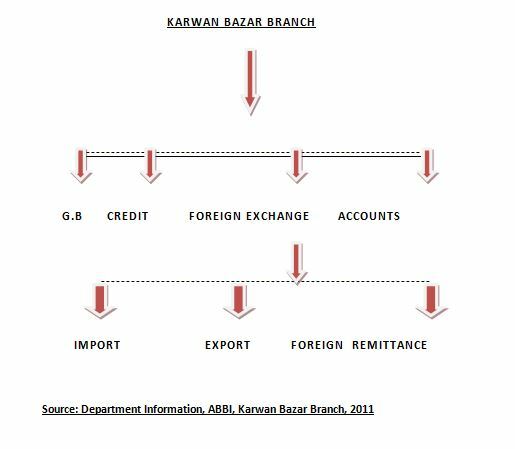 # Foreign remittance inward has also increased over the years for each bank but it is much lower than increase in import. 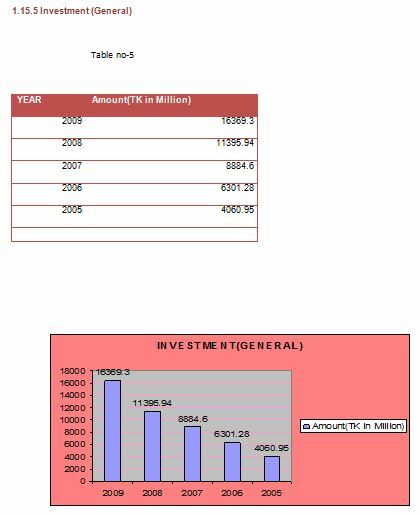 Thus this low inflow of foreign currency into the country cannot cover up the balance of payment deficit. # Backward linkage is a problem for foreign exchange, which is re related to back-to-back L/C. Backward linkage refers to those small industries that support the large industry. For example: for the production of a shirt, cloth, button and other accessories are required. Any problem of these small industries has effect on the large industry. # To avoid this situation, the exporter is needed to have stock lot for which he will have to engage much money. Moreover it will incur inventory cost. 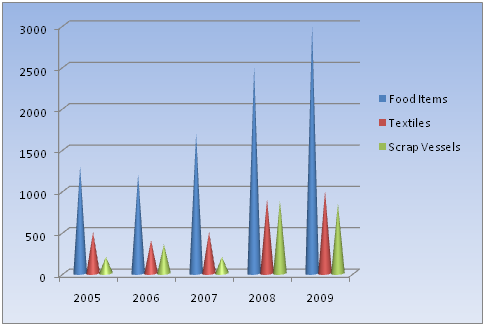 # Very few commodities are occupying major share of our export such as RMG, jute, frozen food etc. It should be spread out. 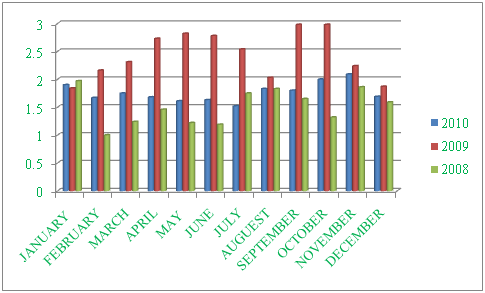 # The periphery of our export market is very narrow. # Usage of latest technology such as swift, ATM computer should be increased. As a result customer dealing will be increased. And transaction will be made at a few minutes. # Employee should be skilled in operating technology. If all the persons will be skilled, no person depends on others specific person for operating to perform the transactions. # Function should be divided. If the function is divided according to its criteria; every person will be efficient in his particular area. And there will be no chance for making mistake. In foreign exchange, swift operator will be done many other functions such as making vouchers, filling the loan and investment form. As a result foreign exchange function is hampered. # Foreign exchange section should be well accommodated and should be well furnished. Client cannot make noise in this section and transactions will be made smoothly. 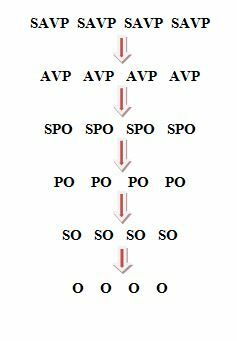 # ABBL should publish manual for their foreign exchange section. Consequently, the officers of this section will be able to conduct their affairs easily without any discussion with the Vice Principal. As a result, it will save their time. Wherever they face any problem, they will follow the manual directly. # It should diversify its item. 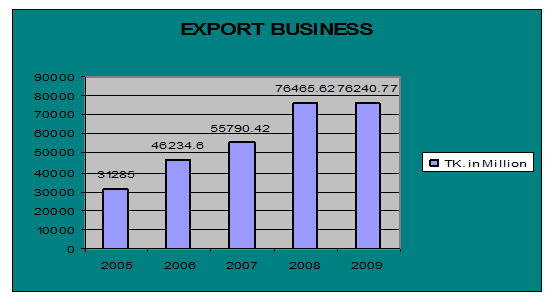 # More importance should be given on export because it assesses most of the variation in profit. 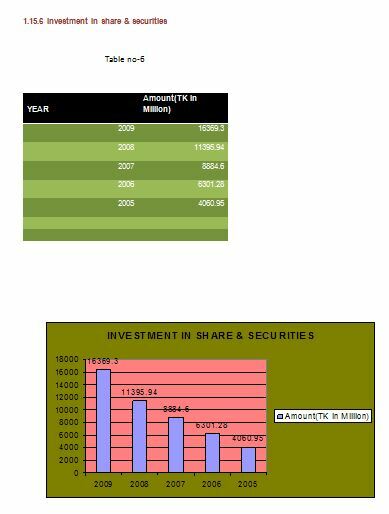 # As per coefficient of variation remittance is the most risky sector so attempts should be taken for lowering the risky ness. 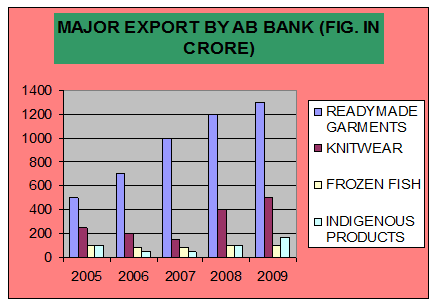 # ABBL handles more than 9% of country’s export and import trade. # The bank has developed a wide network of correspondents for conducting foreign exchange business effectively and efficiently through out the world.